Fans will be cheering their hearts out while seated on our aluminum bleachers. 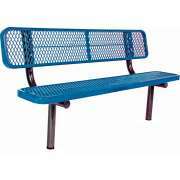 Great sideline seating enables friends and family to show your hardworking student athletes that their efforts are appreciated. With the right encouragement and some great team benches, they can feel positive about their performance no matter what the final score is. Where is the best place for aluminum bleachers? 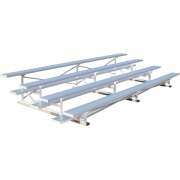 Whether they are on the field or in the gym, our portable bleachers are sure to get lots of fans. Some team benches will complete the setup. How can I get fans to come to games? In a long game like baseball, football or soccer when the end is often the most exciting part, you don&apos;t want your fans leaving because they are tired. If there aren&apos;t enough seats, or any seats at all and they have to stand, fans will be less likely to stay through the end, and if they do they won&apos;t be able to enjoy it as much. Aluminum bleachers let everyone enjoy the game without getting sore from standing or having to sit on the ground where it might be hard to see. What is the most comfortable place to sit on the sidelines? Choosing the right sideline seating for people who want to watch the game is easy. 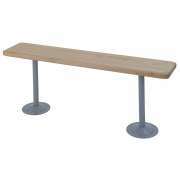 Regular chairs and benches might seem like an option, but when you really think about it, there are way too many reasons not to use them. Chairs can easily be tipped over. They might slip and slide on a gym floor or dig into your field, leaving dangerous and unsightly holes. Both chairs and benches can be problematic because if you have more than one row of them, it will be hard for people to see over the heads of those who are seated in front of them. 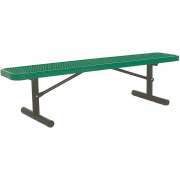 Where can I put portable bleachers? 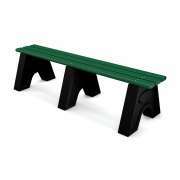 Portable bleachers are an excellent choice for almost any venue. They can be used outside or inside, so you can enjoy them in every season. Unlike chairs and regular benches, they have graduated stadium-style seating which enables every person to get in on the action. With a great view of the baseball diamond or basketball court, fans can catch every minute of the action including close calls and game-winning plays. 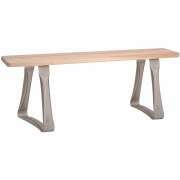 Great seating isn&apos;t only helpful for sports games. Indoor bleachers can also be used when you have a drama or dance performance in the gym. You might even consider using them for high school graduation so proud parents can easily see their favorite students during the ceremony. This provides an opportunity to promote parental involvement and show appreciation for the family members who have guided students throughout their school experience. Outdoor bleachers can also be used for families and friends or graduates when the weather is nice enough for an outdoor ceremony. Where should you put team benches? 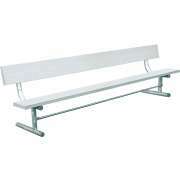 The best place for team benchesis on the sidelines, set back a bit from the court or field. You also want to make sure that there is a bit of distance between the team and the fans in the bleachers. Another consideration is the space between the two opposing teams. With the right placement, you can help student athletes stay focused on the game and get energized for their playing time. 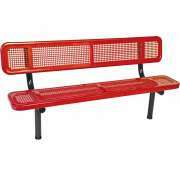 Sports benches should be coordinated with the other furniture in the gym or on the field. A great way to show team spirit is by painting the team benches in the school colors, or even including the school logo in the design. The more exciting the design, the better your space will look, and the more encouraged your players will feel. 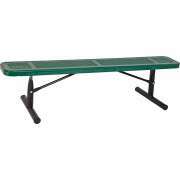 What is the best kind of bleachers? 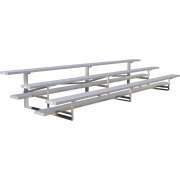 Low-rise aluminum bleachers are a fan favorite because of their convenience and versatility. They come in models that are three- or four-rows high. Their popularity is partially due to the fact that they fit safety and building codes in most areas. Because they are under 30”, they don&apos;t require guardrails or aisles, maximizing seating capacity while saving time, money and effort. Having portable bleachers is certainly convenient, but getting together enough people to carry them to a new venue might be a challenge. For an option that only requires one-person moving, Tip and Roll Bleachers should definitely be considered. With casters attached right on the back of your bleachers, getting great seating into position is as easy as tipping them onto their side and rolling them into place. If you ever plan on relocating your portable bleachers, the Tip n&apos; Roll is definitely worth the investment. How do I choose baseball bleachers? There are a few choices to be made once you have decided to get some baseball bleachers. Seating capacity is fairly important. On the one hand, you don&apos;t want athletes feeling bad if the bleachers are not filled, but on the other hand you also don&apos;t want people having to stand if you run out of seats. 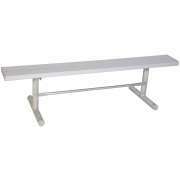 You can get higher seating capacities by choosing aluminum bleachers with more rows or by getting a few separate sets of portable bleachers. One thing is for sure, while playing educational video games can be helpful, nothing takes the place of getting outside and participating in organized sports. If having fans motivates your children to go out and play, bleachers are definitely a worthwhile investment. It&apos;s not hard to be green at school when you order from companies that use recycled materials like GT Grandstand. Safety should be a prime concern for anyone working in a school, whether purchasing equipment for recess. Before installing your new bleachers or team bench, make sure that they comply with building and safety codes.